For the first year me and Al were together he had this whole thing about calling me a hippy. I’m not sure if it came from the days I would wear big flared jeans and wooden beaded necklaces back in my teenage years (we’ve been friends for a long time and we were just out of the 90’s) or if it was my life long passion for recycling (saving the planet and indulging my hoarder inner self without the clutter. What’s not to like?) but I’d playfully take offence at the idea. 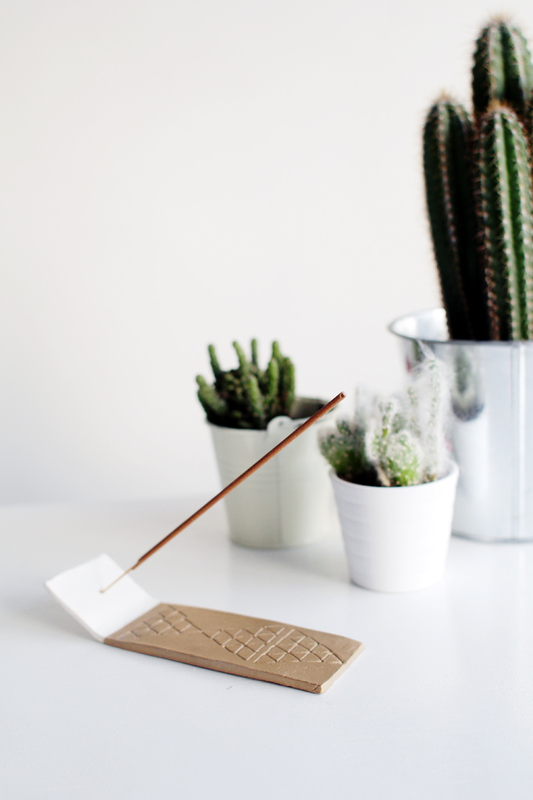 Then we start living together and the boy starts lighting the incense at every given opportunity. 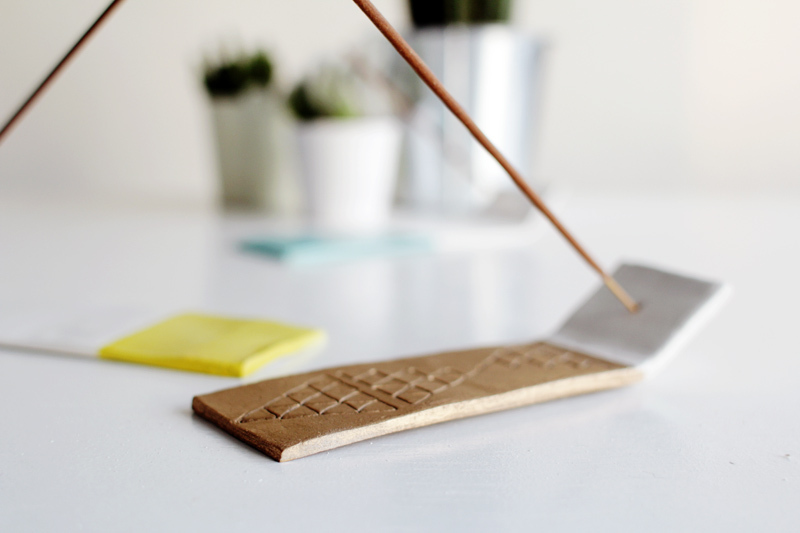 I wouldn’t mind so much but he leaves little piles of incense ash all over the place, so I thought I’d help him embrace his spiritual side without the mess by making these incense holders for him. Ok, so it’s more for me, but I’m not telling him that! 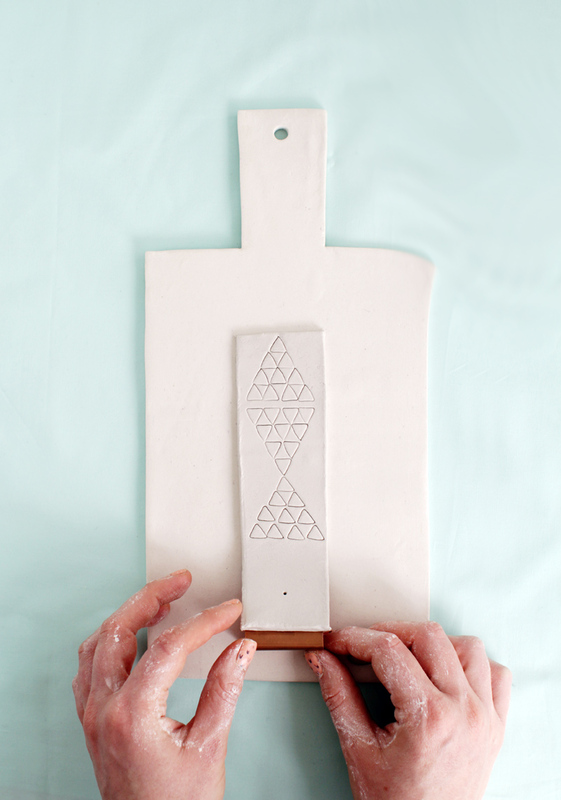 Roll out you clay and cut into a rectangle with the craft knife, smoothing the edges and top surface. 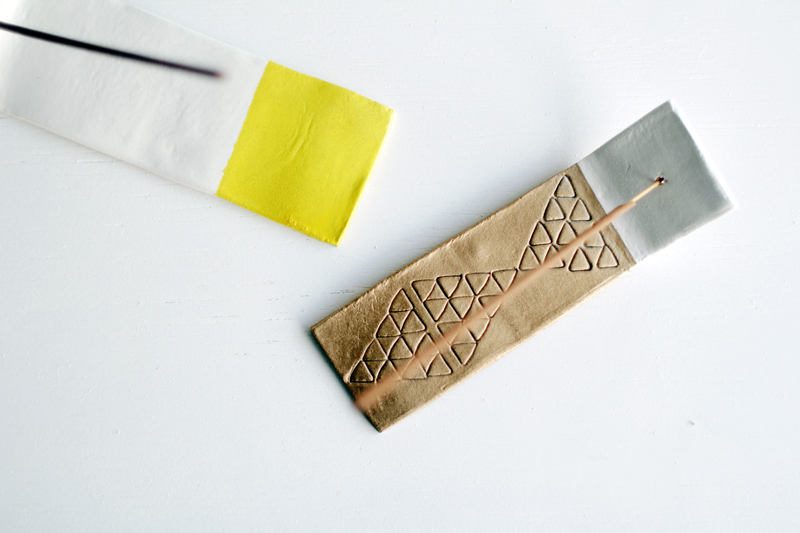 Here you can make a stamp out of a small strip of metal. 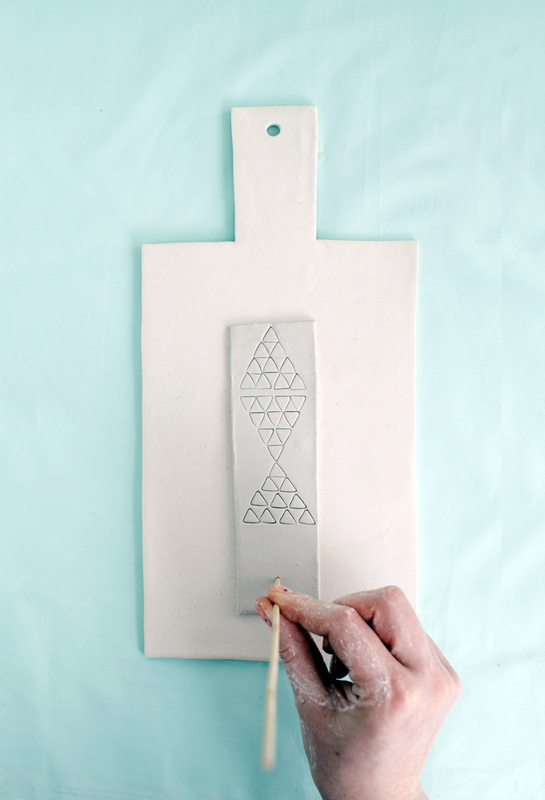 Press the stamp into the clay to create a pattern. 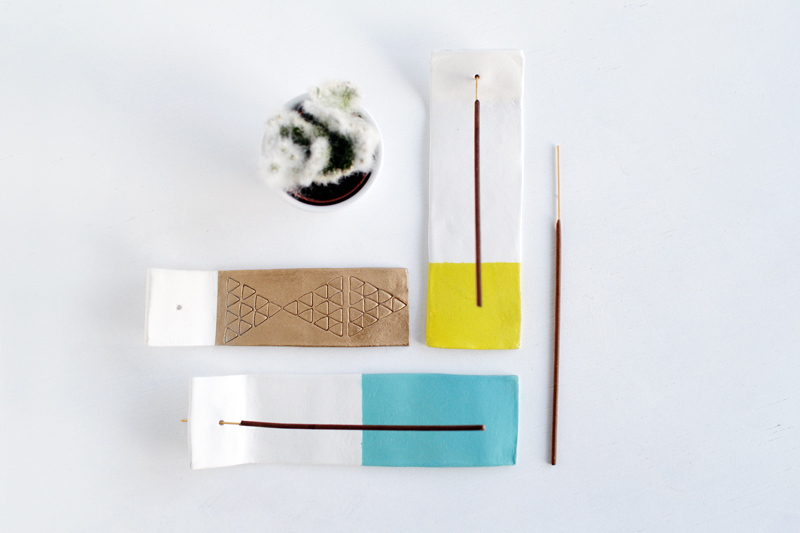 Use the skewer to poke a hole through the other end of the rectangle. 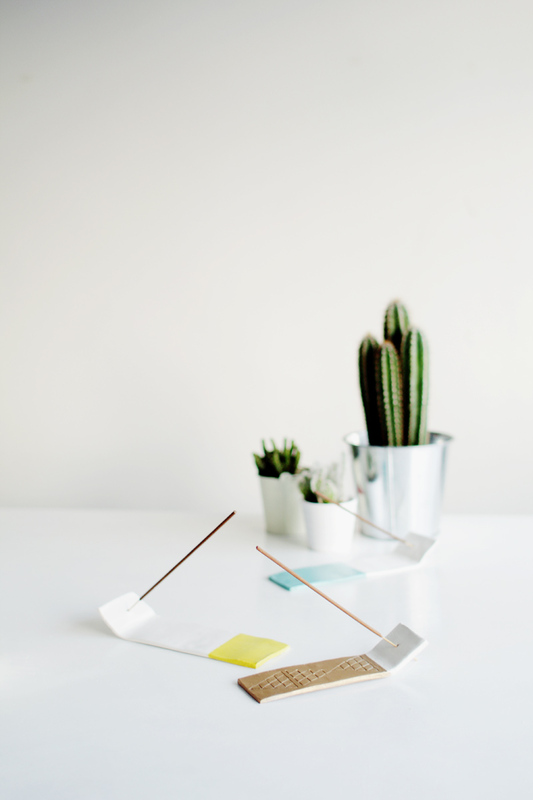 Using a little more sheet metal make a wedge by folding a large triangle. Alternatively you could use an actual wedge. Push it under the hole end of the rectangle to create a slope. Leave the clay for 24 hours to harden. Mask of the ends of the holders and paint. Then varnish the holders. 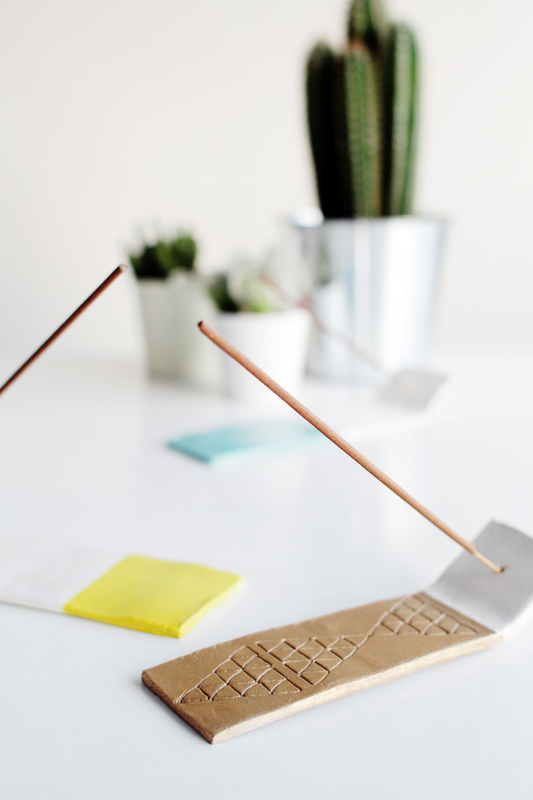 Leave next to the incense sticks as a gentle hint to use instead of balancing them around and making a mess! 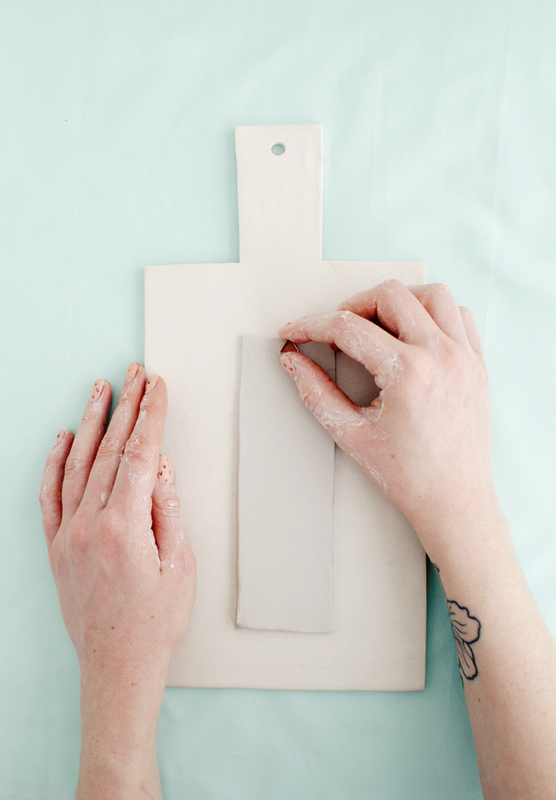 Is it alright to use plaster of paris instead of clay? Hey Rain, Give it a go! I love experimenting. 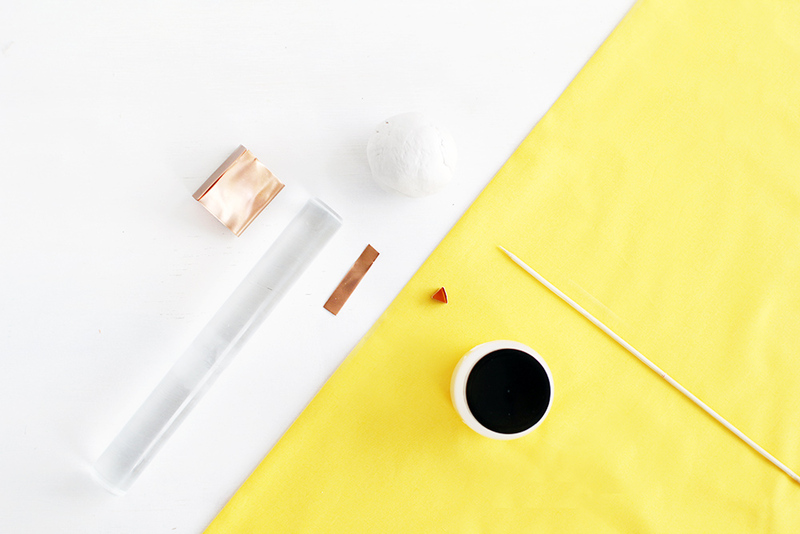 You might need to find something you can use as a mould instead of shaping the clay. Let me know how it goes! Such a sweet idea, Fran. I’m definitely crafting this up when I get home. 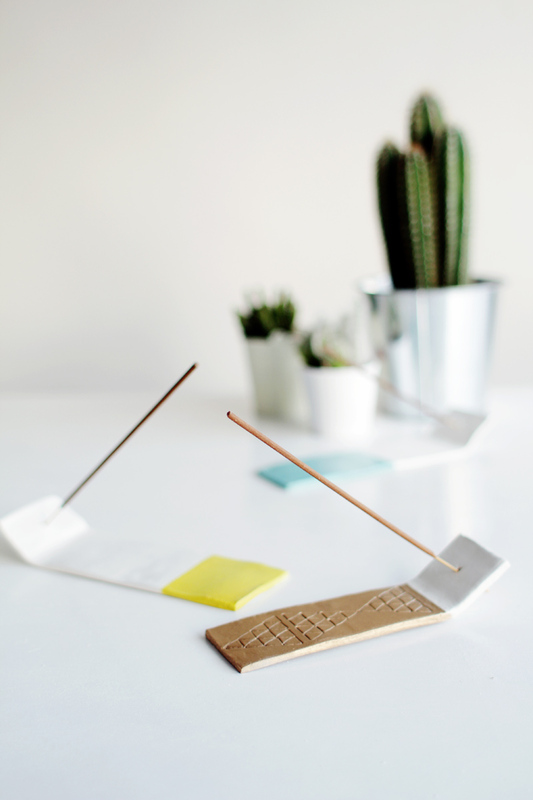 I #LOVE this idea! The options are endless! What type of varnish and spray paint did you use? Hey! 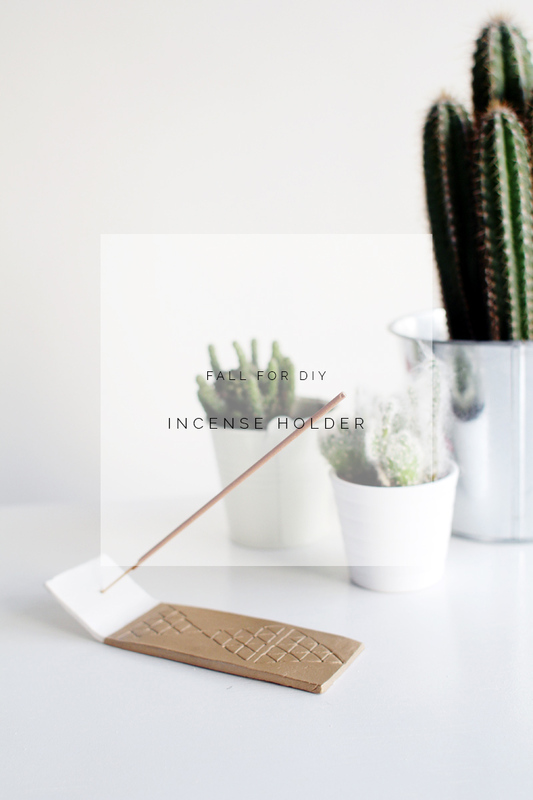 Know I’m a bit late on this post (I really hope you’re still active on this blog) and am planning on making some of these, but I was wondering – how do you get your incense sticks to balance without falling all the way through the hole? Do you have to make the hole a certain size? I don’t have any incense at the moment so have nothing for reference!